As you enter the rather beautiful BB Bakery County Hall, you're immediately hit with the sweet smell of baking as your eyes fall upon the most wonderful and seemingly endless cake counter in front of you. London meets Paris with this quaint, yet modern boutique bakery. All cakes are baked daily by an expert French team of pastry chefs. 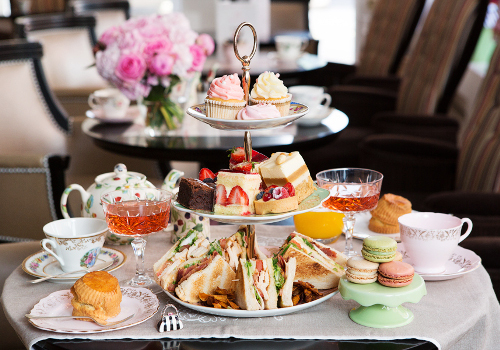 Guests can enjoy a full Afternoon Tea experience with a selection of sandwiches, cakes, mini cupcakes, freshly made scones with clotted cream accompanied with a great choice of loose tea from Bartjeman & Barton. Located just a minute walk from Big Ben, London Eye, London Dungeons and Duck Tours, BB Bakery County Hall is an impressive venue for anyone seeking a delicious Afternoon Tea. It's awesome. Love to eat all these right now. Is there anyone who can stay on diet after seeing these sinful cakes?